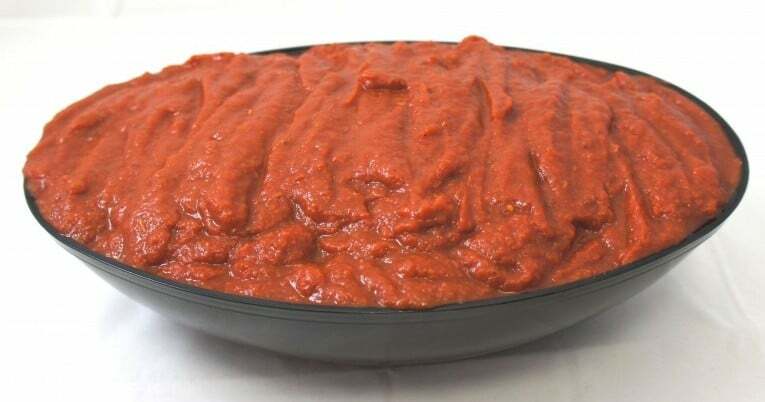 Chunky pizza sauce is made from tomato strips and puree. Additional ingredients include extra virgin olive oil, fresh leaf basil and sea salt. It is prepared from round and or pear tomatoes that have been washed and hand sorted for quality before peeling and grinding.